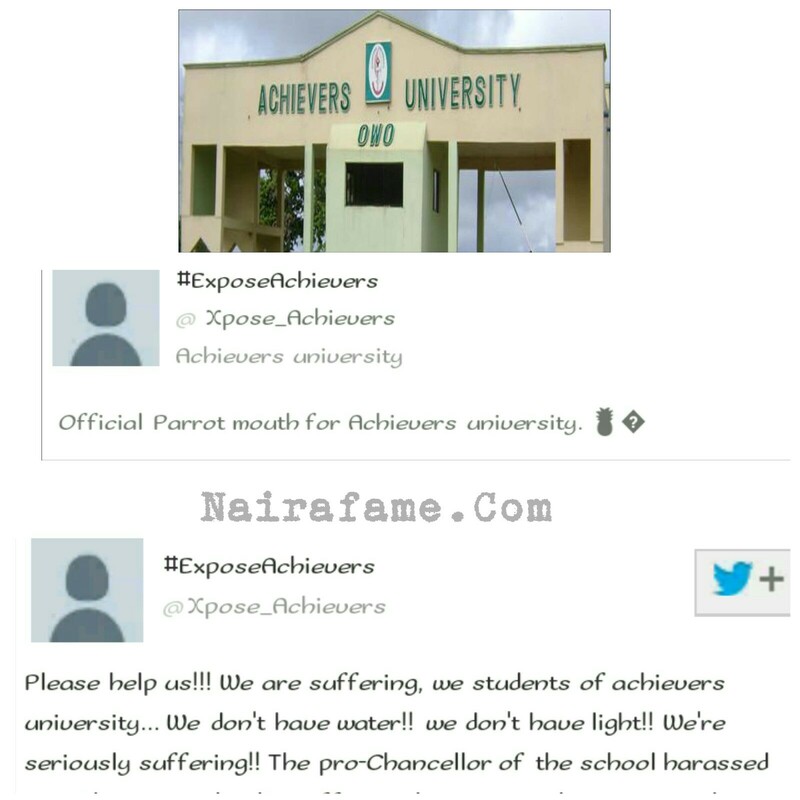 We Students of Achievers University Are Suffering, Official Parrot Mouth for Achievers University Says - NAIRAFAME | Best Entertainment Platform. Official Parrot mouth for Achievers university reveal what happening in his school, according to his tweet he/she said Archivers University are suffering that they have no light and water. According to Official parrot, he/she also said Pro-Chancellor of the school harassed them with army and police. He also said Achievers University have their induction today.